What girl doesn't own their own Michael Kors motif bags? He is a very popular designer, mainly because of his classic and sophisticated bag designs at a somewhat of an affordable price - in terms of being a luxury fashion house. 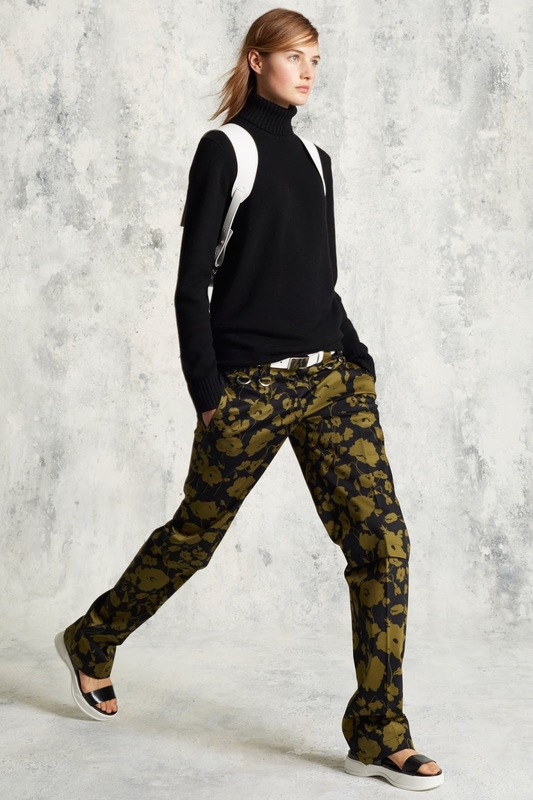 The Michael Kors Collection previews are more luxurious and expensive. Made for those women who ooze elegance and class, with a modern twist. I suppose being such a global name adds pressure in ensuring that your collections are adored and worn by loyal clientele. I feel that Michael Kors delivers season after season, and this particular collection was one of my favourite of the brands. At his Pre-Fall 2016 Collection Preview, he stated that he had recently visited Shanghai and that a lot of the inspiration behind these looks came from that. He said that the woman has to "Fall in Love", and perhaps this is why the looks were so incredibly romantic this time around. He conveyed this emotion through the pastel pinks, floating in and out of the collection - being presented with a cut out top and pleated skirt teamed with white pumps and and with a gorgeous feathered dress and cardigan, rounded off with black pumped shoes. It's as if Michael had the sophisticated and elegant woman in mind when designing this incredible collection. 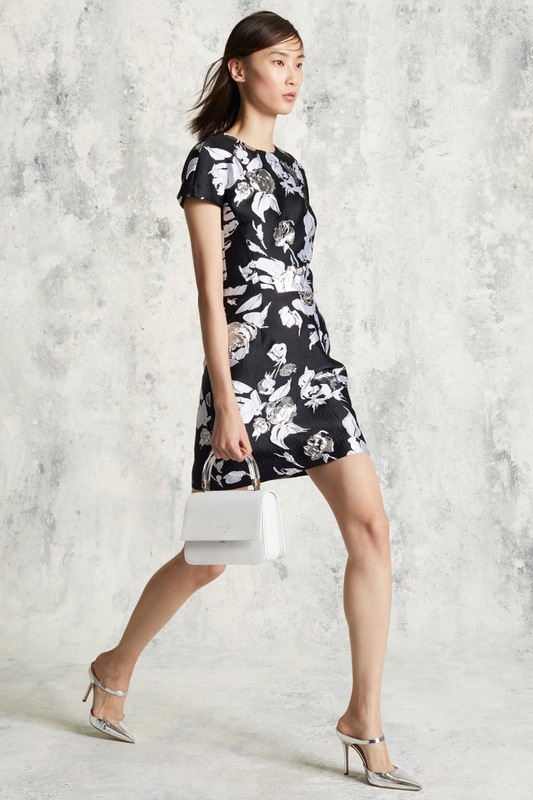 Alongside the romantic feel of the light colours, Michael had incorporated a strong bulk of Monochrome looks - complimented and made feminine with a floral type pattern. I loved the beautiful white fur coat with the 3D print of the black floral design with the black colour. It was a piece that really stood out for me during the preview - as did the gorgeous pink version. 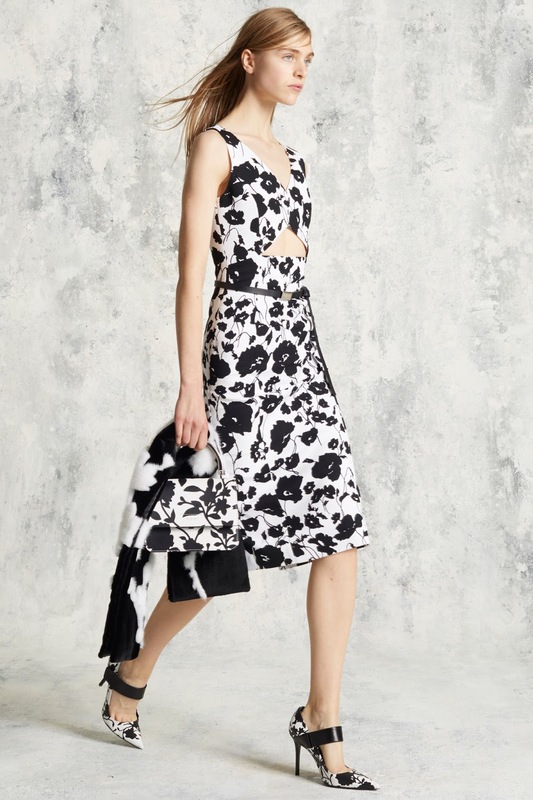 I feel that Michael Kors had gone the extra mile with this collection, creating a gorgeous mesh dress, with the mesh being lace against a beautiful floral monochrome design. The oversized black coat with the leather contrast adds a subtle amount of detail to stay simple. He has carried on the AW15 trend and SS16 trend of very small bags - just big enough to allow you to carry a phone, some money and maybe another essential item. He presented us with these gorgeous bags in the colours black, beige and crisp white - tones that will look good with any other colours so these are what you would call and investment for sure. Perfect for all season, every season.